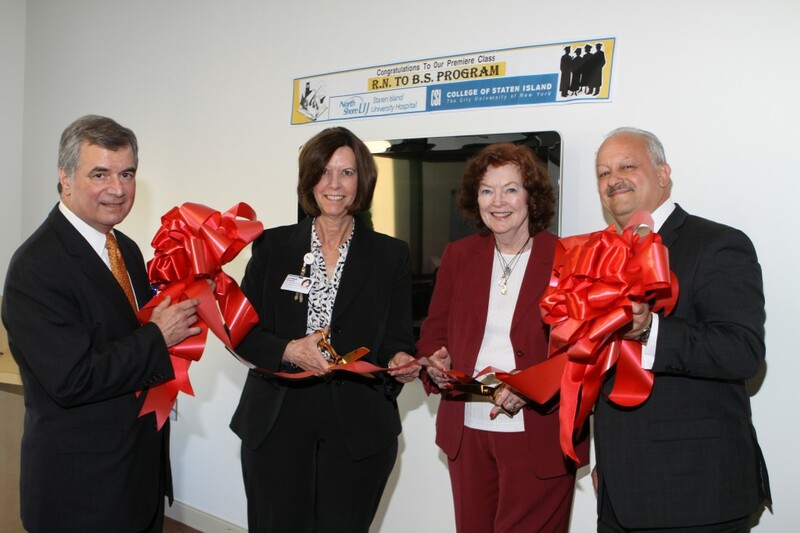 Celebrating the SIUH and CSI RN to BS Program's Inaugural Class with a ribbon-cutting that includes Anthony Ferreri, Donna Proske, Mary O'Donnell, Tomas Morales. January 30, 2012. Photo by Bill Higgins.